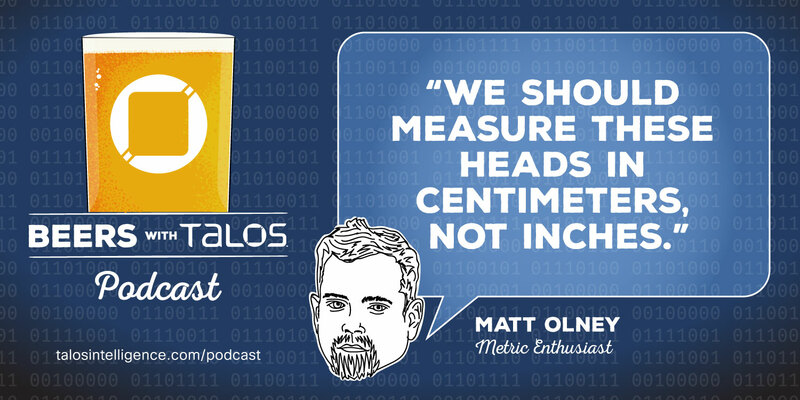 Talos Blog || Cisco Talos Intelligence Group - Comprehensive Threat Intelligence: Beers with Talos EP 25: WE'LL DO IT LIVE!!! 09:47 - Why Security? What drew you to the field, and what is it that keeps you here? 41:25 - Router Security — yes, we still need to talk about this.